The bikini bottoms are available in Navy. Panache Annalise Tankini Top - Cobalt/White The Panache Annalise tankini top is underwired, with padded cups, a spot design and a concealed hook and eye fastening at the back. 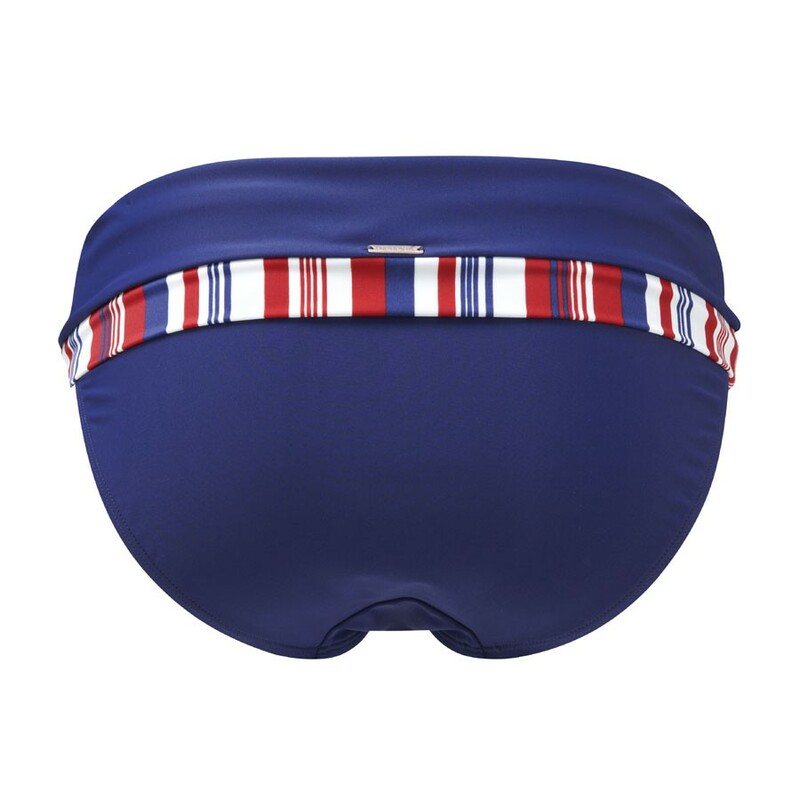 Panache Stella Bikini Brief - Navy/Ivory The Panache Stella gathered bikini brief has a stripe design. Panache Marina Bandeau/Strapless Bikini Top - Amethyst The Panache Marina bandeau bikini top is underwired, with padded cups and a snap clasp fastening. 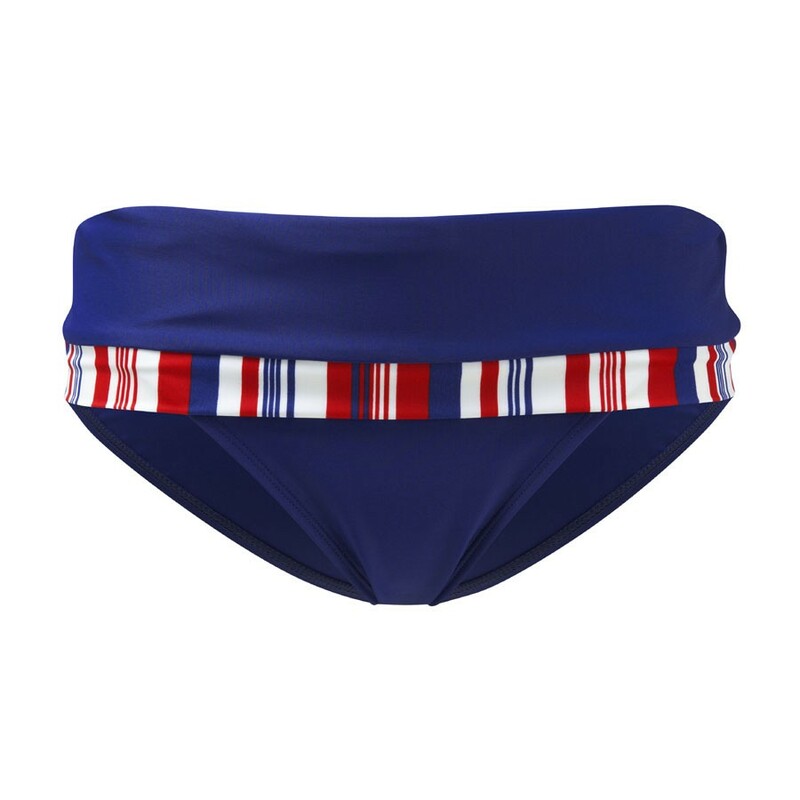 Panache Annalise Balconnet Bikini Top - Cobalt/White The Panache Annalise balconnet bikini top is underwired, with padded cups, a spot design and and a bow in the centre. Panache Britt Halterneck Swimsuit - Black The Panache Britt halter swimsuit is underwired, with lined, unpadded cups and button detail in the centre. Panache Savannah Fold Waist Bikini Brief - Gypsy Print The Panache Savannah fold waist bikini brief has a printed design on the waistband. Panache Elle Balconnet Bikini Top - Tropical Print The Panache Elle balconnet bikini top is underwired, with lined, unpadded cups and a printed design.